We continue to honor and commemorate the memory of the January 12th 2010, earthquake’s victims, because we don’t want to forget this horrific day and the devastations and nightmares that followed it. As it should be with survivors and descendants of major human tragedies such as the extermination of the Native Americans, the trans-Atlantic slavery, the Jewish Holocaust, or Hurricane Katrina, the memory of their horrendous nature and the suffering that they cause, help sustain an active rejection of their malevolent appeal and articulate new ways of managing adversities and living with each other. After the Haitian earthquake, upon seeing the catastrophic damages it has caused, and the human resilience and solidarity put to work in dealing with it, I expressed the wish that Haiti would recover and be rebuilt on new and better foundations. Unfortunately, these new foundations have not materialized. Even before the earthquake, the socio-economic, ecologic and sanitary conditions of Haiti were already “seismic”, and in many parts people were living in unacceptable, sub-human conditions. The earthquake only exacerbated those trends. Naturally, there are also the hostile actions taken by the great powers like France, Spain, Britain, Germany and the United States to contain what they considered like the pervasive influence of the Haitian Revolution. Chief among these actions were the international embargo decreed against the young nation by almost all of the great powers of the time (with the notable exception of Denmark, the Netherlands and the Vatican); there’s also the Recognition Payment the French king Charles X imposed on Haiti under the threat of invasion in 1825. This so-called Indemnity or Debt of Independence was the equivalent of $19-billion in today’s money. The French passed the payment of the debt to the US-Americans after the latter’s occupation of Haiti in 1915. Haiti continued to pay this recognition debt until 1947. We continue to honor and commemorate the memory of the January 12th 2010 earthquake’s victims, because we want to raise awareness in preventing the next catastrophe, at least reduce the magnitude of its impact. And, hopefully, save lives and assure a better future for the country. 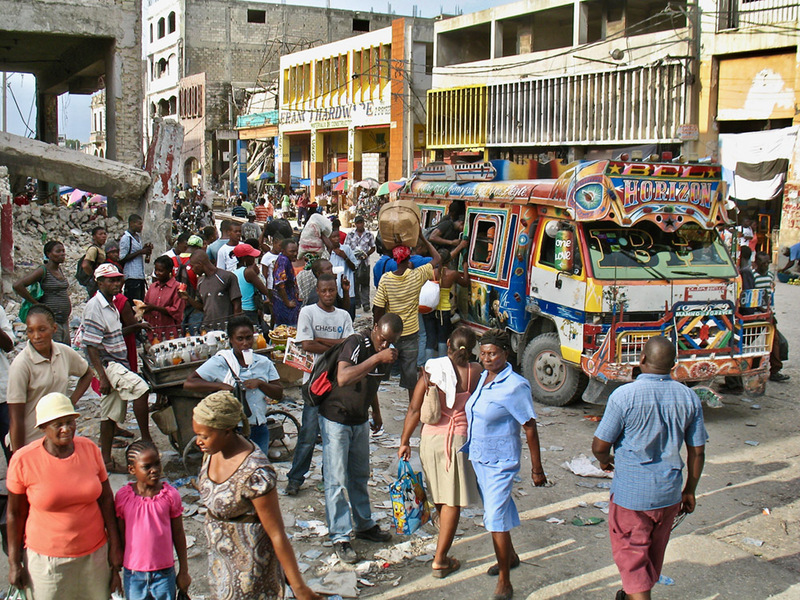 To remedy to what she calls a “permanent, structural and multidimensional crisis,” Yolette Etienne suggests “the promotion of new model that will challenge the centralization, exclusion, polarization, financial speculation, and the extreme dependence that characterized Haiti during the last 50 years”. The recent devastation of Hurricane Matthew in the southwestern part of the country is one of a series of catastrophes that highlight Haiti’s vulnerability to natural disasters due to poor, neglected infrastructure, and inadequate preparation to crisis response by authorities. In this sense Haiti’s persistent humanitarian crisis is fundamentally un-natural. Finally, despite the setback in the current Haiti’s trend of manufacturing presidents through the manipulation and control of the electoral machinery, with support of the financial sectors and the so-called “international community,” I remain hopeful that Haiti will one day use again, as she had done in the past, the very adversities History has thrust upon her as means to her liberation and recovery. For that, we will need a new way of managing our bio-politics and planning our future. * See the included statement on the earthquake's commemoration: Resilience and Resistance and Rezilyans ak Rezistans in both English and Haitian.